In response to the success of its popular microsite theshortcutts.com, digital marketing agency Click Consult has made various developments to the website, to enhance the overall experience for users and cope with the increasing demand for updates. Theshortcutts.com has been recognised as a key organic search resource by a range of industry-leading experts and businesses including Search Engine Journal, Search Engine Land, Search Engine Roundtable and by Matt Cutts himself. In response to the success of its popular microsite theshortcutts.com, digital marketing agency Click Consult has made various developments to the website, to enhance the overall experience for users and cope with the increasing demand for updates across various platforms in an array of countries. Since its launch on 19th March 2013, The Short Cutts, which summarises the informative videos of Google’s Head of Webspam, Matt Cutts, has grown its following exponentially, driving over 27,000 unique impressions throughout the month of April alone in 2014. 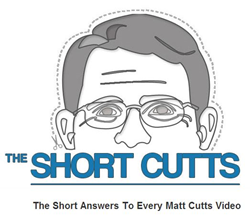 The Short Cutts is a great resource for digital marketers, who visit the site to keep their finger on the pulse of all that’s new in the world of SEO without having to watch hours of video footage. Indeed, the team behind theshortcutts.com condense Cutts’ videos down to one or two words. To satisfy the growing demand for theshortcutts.com, the Click Consult team recently implemented a language filter, which website visitors can use to translate the site’s content from English, into their chosen language. With users from 146 different countries viewing the site, this was an integral part of the site’s development. The technical geniuses behind The Short Cutts site aren’t afraid to showcase their sense of humour, either. Indeed, Cutts is characterised by his preference for wearing the same t-shirt for five or six consecutive videos before changing it to a different colour. “I switch shirts every 5-6 videos, and we go down the list of videos in order of votes, so shirt color is mostly uncorrelated with the content,” Cutts admitted. “If I'm doing a longer or more in-depth video, then I might pick a specific shirt that goes with the topic,” he continued. In his April Fools video, Cutts wore a psychedlic t-shirt, which he later admitted was done specifically to trick the t-shirt filter on theshortcutts.com. The Click Consult team behind The Short Cutts responded by adding a pscychedelic t-shirt filter to the site. In response to the rapidly growing audience of The Short Cutts and the increasing demand for updates to be available across more platforms, Click Consult felt it was time to build a social media presence on Twitter. This allows users to view the latest SEO and search marketing updates in real time, as well as taking part in competitions and interacting with The Short Cutts team and other Matt Cutts fans. Follow @TheShort_Cutts for updates. Click Consult’s Founder & CEO, Matt Bullas says, "The Short Cutts was created by our team of organic search executives here at Click Consult and since its launch in March 2013, its audience has grown rapidly. Theshortcutts.com has been recognised as a key organic search resource by a range of industry-leading experts and businesses including Search Engine Journal, Search Engine Land, Search Engine Roundtable and by Matt Cutts himself. The success of the site is testament to the Click Consult team's ability to develop innovative ideas and implement them flawlessly through skilled content marketing, website design, organic search and paid search." To find about more about The Short Cutts, visit http://www.theshortcutts.com. For more information on Click Consult, visit http://www.click.co.uk or call 0845 205 0292. Located in North West England, Click Consult is one of the UK’s leading digital marketing agencies. With over 60 professionals employed and with a portfolio of over 125 clients from across the UK, Click Consult works with businesses looking for a tangible, measurable return on investment in digital marketing. Search marketing is at the heart of Click Consult’s offering, but it also provides a range of other web services, including content management, conversion rate optimisation and social media. Click Consult is a Google AdWords and Microsoft adExcellence certified company.